Springtime is officially here. 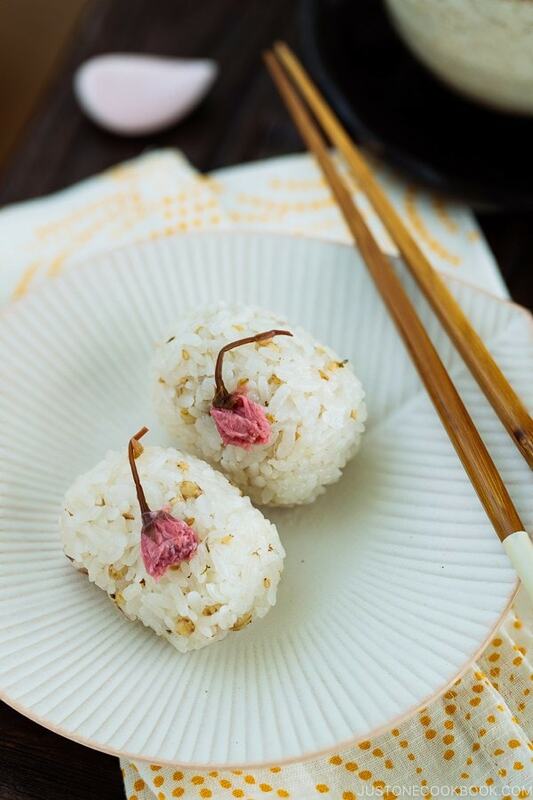 Are you ready to bring out your picnic basket and fill it with rice balls and sakura mochi? 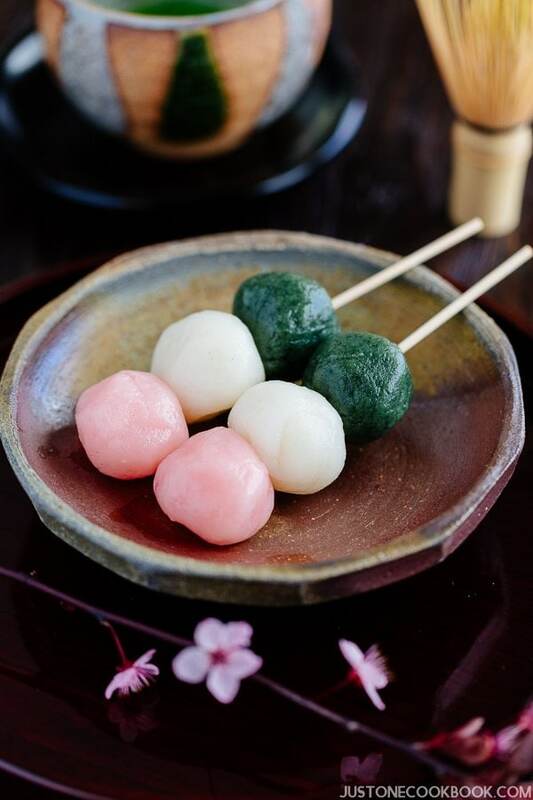 To usher in the season of cherry blossom, we’ve partnered with Japanese Green Tea Company to give away their best-selling authentic green tea to complement your spring-theme menu. 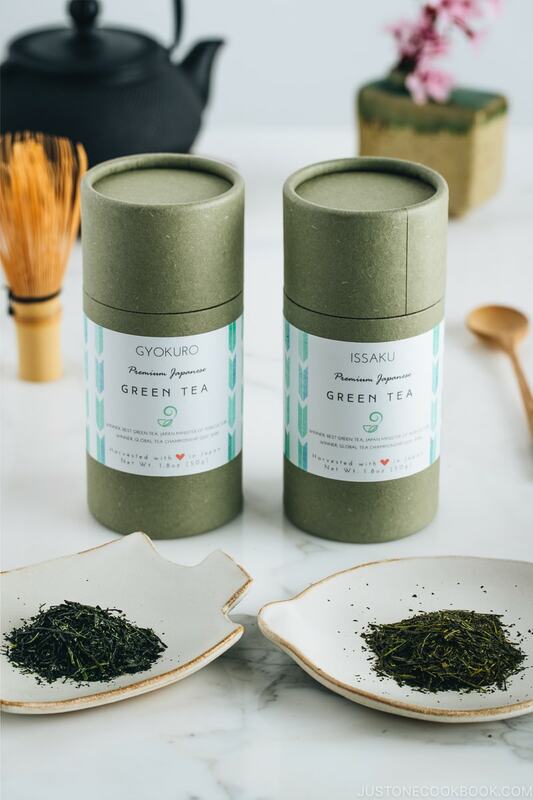 Three (3) lucky winners will be selected to win their award-winning Issaku Sencha and Gyokuro Japanese premium green tea in this giveaway! 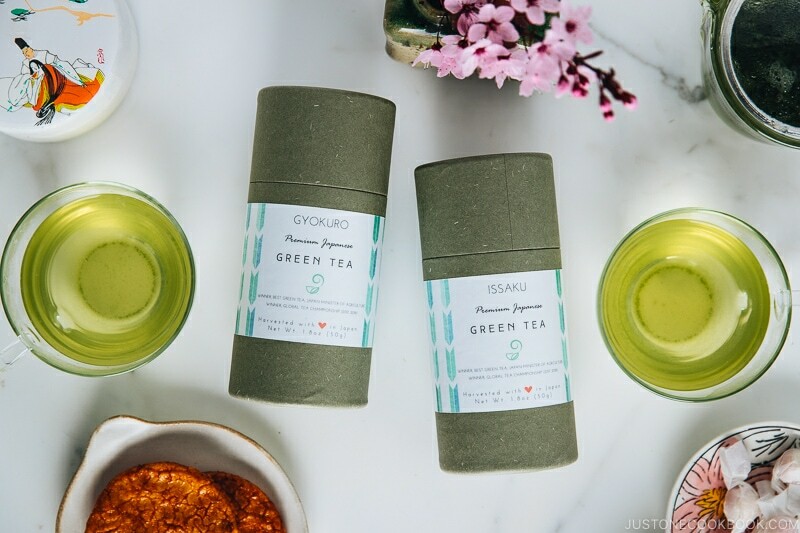 Win a Set of Gyokuro and Issaku Japanese Green Tea Today! Issaku is the highest-grade tea available from Japanese Green Tea Company, and, due to the complex and long process of creating the tea, only a limited quantity is available to produce every year. This tea is rare, even in Japan to enjoy. 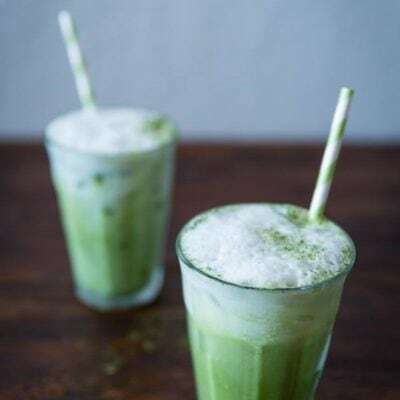 Gyokuro is a special type of green tea shaded from the sun for 20 days with specially made mats which allows the caffeine levels to increase in the leaves, in addition to allowing the amino acids to get stronger, producing a sweeter and stronger flavor. Because of the cultivation process, the leaves have a very particular odor that is impossible to confuse. Japanese Green Tea Company sells authentic, healthy Japanese Matcha & Green Tea harvested from sugarcane soil. In addition to the Global Tea Championship, their tea won the Japanese National Tea Award in 1974, 1975, 1979 and 2010. The farmers carefully cultivate crops of thick grasses around their tea trees and sugarcane syrup so that they provide added nutrients directly to the soil as a compostable blanket every winter. The farmers also collaborate with researchers from Shizuoka University to study soil and the impacts its sweetness has on the taste of the tea it cultivates. This labor-intensive process protects each plants’ delicate roots while giving each tree the nutrition it needs to grow, ensuring that only the best leaves make it into their tea. 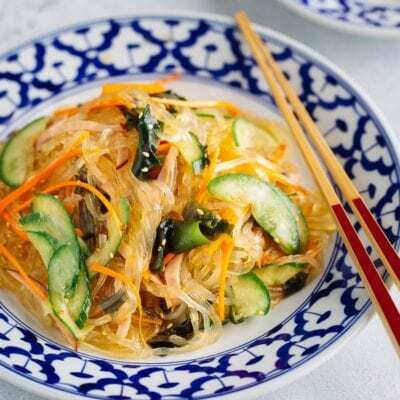 This longer processing method leads to a bolder flavor filled with the health-enhancing amino acid theanine with smoother a mouthfeel, a subtle hint of sweetness and is far less astringent. 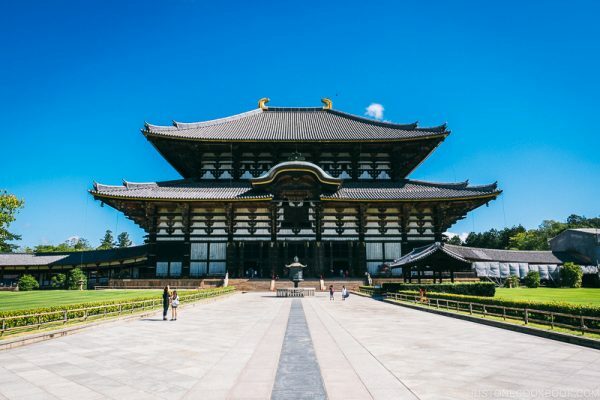 Japanese Green Tea Company is the only US-based company to source tea directly from Arahataen Green Tea Farms in the Shizuoka prefecture in Japan. Shizuoka has been the center of green tea cultivation in Japan for centuries, and the region’s intense sunlight and intermittent fog gives each batch of tea its distinctive flavor. You can learn more here. 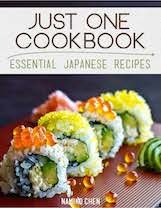 Japanese Green Tea Company is also offering Just One Cookbook readers a 10% discount on your first order. You can use the code at the checkout. The code expires on April 17th (one week after the giveaway ends) and is limited to one use per customer. This giveaway contest closes on Wednesday, April 10, at 12 p.m. PST and is open to the US only. Three (3) winners will be selected via Pick Giveaway Winner Plugin and contacted via email, so please include a valid email address in the email address entry box (please double check your spelling!). Ticket 1 (Required): Subscribe to Japanese Green Tea Company newsletter and leave a separate comment below. Ticket 3 (Optional): Follow Japanese Green Tea Company Instagram or Like them on Facebook. Ticket 6 (Optional): Like my Facebook and leave a separate comment below on this post. Congratulations! I’ll email you shortly. This giveaway is sponsored by Japanese Green Tea Company. Followed the Japanese Green Tea Company. Never had heard of it before! Also signed up for your newsletter. Followed the Green Tea Company on Facebook and Insta. Can never have too much green tea. Thank you very much Christina for following us! Glad you found us. : ) Yes! Never enough green tea! Followed you on insta. Revived my instagram recently. Subscribed to this website’s youtube channel. Didn’t know you had a separate youtube channel! I recently discovered your blog and I LOVE it! I made zenzai and the soboro don and it turned out great. Look forward to more fabulous recipes! I am subscribed to Japanese green tea company newsletter. I am following Japanese green tea company on Instagram. I am subscribed to to your you tube channel. My family loves Japanese green tea! Thanks for bringing this green tea to our attention. I hadn’t heard of it before. I tried to purchase some tea and the JOC code didn’t work. I got an “Unable to find a valid discount matching the code entered”. We just tried and it worked. Please make sure it is three character all upper case JOC You add the code at the checkout page. If you are still having an issue, please don’t hesitate to contact us. Our email address is on the bottom of every page. Thank you very much! Subscribed to Japanese Green Tea Company newsletter. I’ve been subscribed to your newsletter for a long while. Love your posts! I followed Japanese Green Tea Company on Instagram. I’ve followed your Instagram for a while! I’ve followed you on Instagram for a while too! 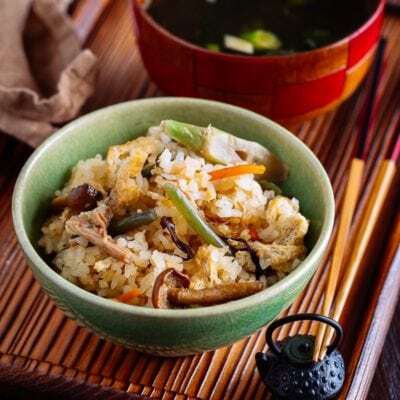 I love cooking Japanese food at home! You are a big help to me! Got both newsletters and follow both on Instagram! Started following Japanese Green Tea Company. Subscribed to the Japanese Green Tea newsletter. I’m already a subscriber to your newsletter. I love your articles! I just got back from Japan a few days ago. Spent time in Osaka, Kyoto and Nara. Went to Todaiji and fed the deer 😊 they were pretty aggressive!! Wow, those three cities are so nice. Perfect time to be there as well. 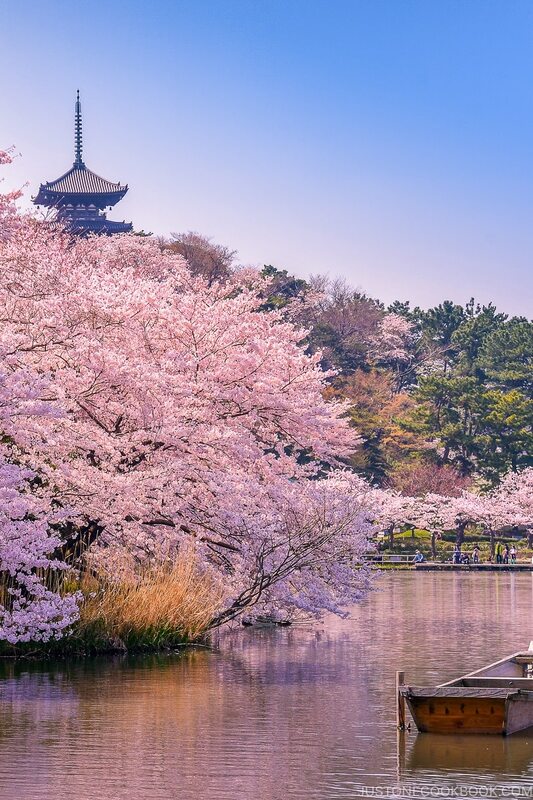 Hope you got to see cherry blossom too! I’ve been following you on Instagram for a while now. Love your recipes. Never heard of the company before but just signed up for their newsletter. I subscribed to the Japanese Green Tea Company newsletter. I followed Japanese Green Tea Company on Instagram and Facebook. I already subscribe to you YouTube channel. I never heard of the Japanese Green Tea Company before. I have always bought Japanese tea directly from Ippodo Tea Company in Japan and have it shipped to me. I liked their Gyokuru (kanro) and Sencha (kabiku) teas. What is the difference between your tea and Ippodo’s? 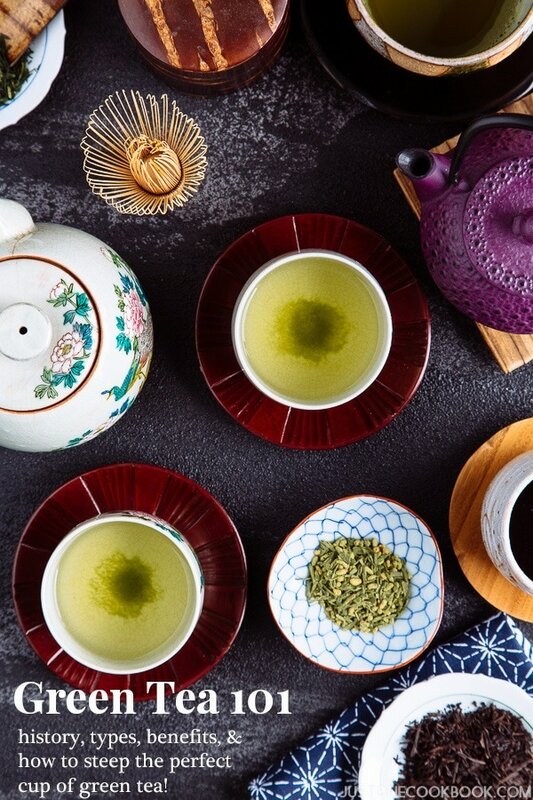 Can you tell me which of your teas matches Ippodo’s Gyokuru (kanro) and Sencha (kabiku)? I do like their tea too, but our tea is grown in sugarcane soil which makes the tea tastes less bitter and less astringency. Because of this unique and labor intensive process, our tea won the Global Tea Championship twice and many awards in Japan. The two that we are giving away are the most popular and close to the ones you bought earlier. Issaku and Gyokuro. I subscribed to Japanese Green Tea Company’s newsletter. I subscribed to Japanese Green Tea Company’s Instagram page. I follow your Instagram page. I’m subscribed to the newsletter. Thanks! I subscribed to the Japanese Green Tea newsletter, am now following them on Instagram and “like” them on fb! I hope I win this as me and my family love green tea! Japanese Green Tea Company Instagram subscriber. #4 Instagram subscriber for Just One Cookbook. 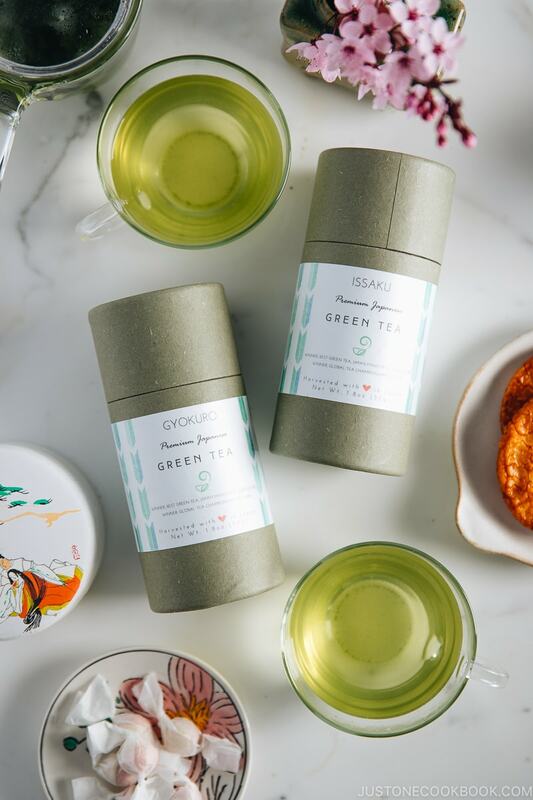 Signed up for the Green Tea Company newsletter! Also signed up for your newsletter! Pick me! Pick me! I love Ocha! I suscribed to the Japanese Green Tea Company! Suscribed to your e-mail newsletter! I am following the Japanese Green Tea Company Instagram! I am following your Instagram! I am following your Youtube channel! I LOVE GREEN TEA ! I signed up for your newsletter. Thank you! What a joy it is to read your blog! I love green tea. So excited to learn more about your company and looking forward to try the green tea. Thank you very much Asha. Hope you enjoy our tea too! Make sure to use coupon code JOC at checkout to get 10% off your first order. Signed up for JGTC newsletter. I also just subbed to the Green Tea Company! They seem like really good quality, and I love that they care a lot about their products! Thanks, Nami. I would love to try this tea. Are the tea plants sprayed with pesticides? Subscribe to Japanese Green Tea Company newsletter. Never heard of it before. Thank you! Do you have a set of recipes or book with only dessert? I really enjoy a good cup of green tea. I have subscribed to Japanese Green Tea Company. Really nice products! I subscribed to Japanese Green Tea Company newsletter. I have subscribed to your newsletter for a long time and thank you very much! I followed them on Instagam. Thank you for so many wonderful recipes. Love your videos and look forward to learn many more authentic recipes from you. Thank you for your wonderful reminder of my country of origin. 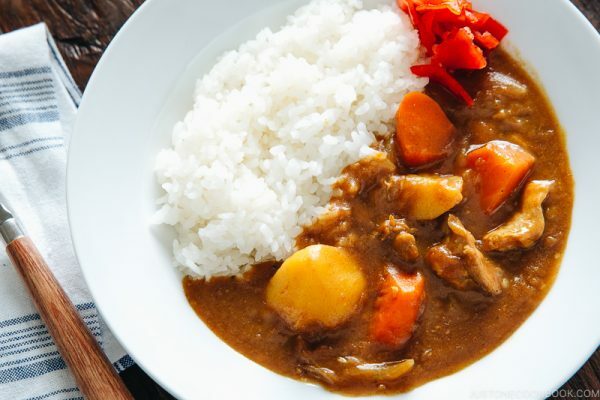 Even though it’s been many years since I came to USA and have forgotten how to speak and write in Japanese your wonderful stories jogs my memories to remember fond times in Japan especially the delicious food! I am subscribed to the Japanese Green Tea Company newsletter. I have subscribed to your YouTube channel. Always enjoy your blog and email. Please continue your wonderful and ever amazing recipe. LOVE green tea! Would love to try this! Thank you so much, Kei, for all the amazing articles about green tea. I’m absolutely in love with my Gyokuro tea from Japanese Green Tea Company. It’s much more delicious and fragrant than any other tea that I’ve ever had. I followed Japanese Green Tea Company on both Instagram and Facebook. Subscribed to Japanese Green tea company! Look forward to try new receipt. Also already subscribed to you! Green tea is great for health and an alternative to your daily cup of coffee! I’m a big green tea fan, and I’m excited to learn more! I subscribed to Japanese Green Tea Company newsletter! I’m looking forward to receiving it, thank you! I’m now following Japanese Green Tea Company on Instagram. Honestly, Nami I’ve never wanted to win a giveaway as much as this one. I’m a big tea enthusiast and spring is when freash tea leaves start to get picked, so this is the perfect time for fresh green tea!! I subscribed to your Email Newsletter! I am excited about learning new recipes and about different types of Japanese tea! Also, thank you very much for the 10% discount at checkout. Subscribed to the Japanese Green Tea Company and your newsletter. I also subscribed to your YT channel. Looks like lots of yummy things on there! Plus I am a HUGE tea lover so I’m excited to check out JGTC too. Thanks for the give away! Thank you very much Ashley. Gyokuro is also my personal favorite. Hope you enjoy! Would love to try this green tea. Enjoy my green tea every morning. Subscribed to the Japanese Green Tea Company newsletter. Subscribed to the Just One Cookbook newsletter. Followed the Japanese Green Tea Company on Instagram. Followed Just One Cookbook on Instagram. Subscribed to Just One Cookbook on YouTube. Signed up for the Green Tea newsletter, and am pretty excited about it! Already signed up for the JOC newsletter, and an loving it. Now following Japanese Green Tea Company on Instagram. Subscribed to JOC YouTube channel. I could watch it all day, honestly. I really appreciate the visual aid for recipes. Liked and following JOC on Facebook. Oh, yeah, and I also liked and am following Japanese Green Tea Company on Facebook. Subscribed to Japanese Green Tea Co.
And lastly, liked your Facebook page! Ticket 1-done! Both teas look wonderful! I drink green tea often. Ticket 2-I’ve been a long time subscriber to your email newsletter. It’s great! already subscribed to Japanese Green Tea Company! Hi! I’ve subscribed to the Japanese Green Tea newsletter. So cool you’re doing this giveaway with them! I follow the Japanese Green Tea Company on Instagram. I follow Japanese Green Tea Company on Instagram. I have subscribed to the JOC YouTube channel. I liked the JOC Facebook page. Ticket 3- I Liked Japanese Tea Company on Facebook. 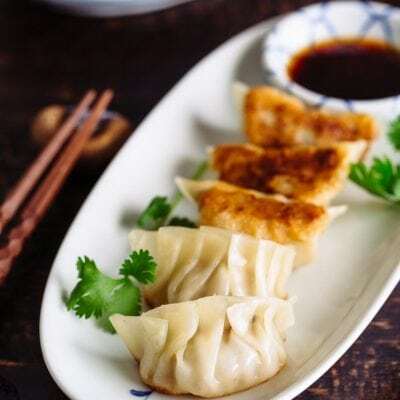 Ticket 2 – Have been a long time subscriber to your newsletter – and make many of your wonderful recipes! Looking forward to trying authentic Japanese green tea! I’m looking forward to receiving the green tea recipes, too! I would love to try the Issaku Sencha and Gyokuro Japanese premium green teas and compare them to the “generic” green teas we get here. Hi Stella, thank you very much! Followed Japanese Green Tea company on Instagram. Already liked your Facebook page. I am already subscribed to the Japanese Green Tea Company newsletter! I am already subscribed to JOC newsletter! Signed up for the Japanese Green Tea Company newsletter and I’ve already been on your newsletter. I absolutely love this site! Ticket 5-I am a subscriber of your Youtube channel. It’s a great cooking resource for me. Keep up the good work and give my thanks to Mr JOC, too! Ticket 6-I Liked your Facebook page . Subscribed to Japanese Green Tea Company newsletter! Thanks for sharing info on this tea company! Hi. I subscribed to the Japanese Green Tea Company newsletter. I am excited to learn about their special Japanese green teas. Thank you very much Alexander. Please let us know if you have any questions about our tea! 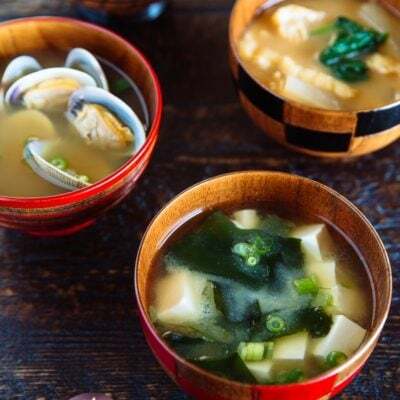 Hi Nami, I have been subscribed to your YouTube for a while now and I enjoy watching you cook delicious Japanese food. I am subscribed to the Japanese Green Tea newsletter. Love your YouTube channel! Subscribed! I love your recipes. I try as may as I can. I am still struggling with rolling rice with seaweed. The seaweed does no stay crisp. I’ve subscribed to the Japanese Green Tea Company newsletter. They look fabulous! I’ve subscribed to the JOC newsletter. I’ve subscribed to the JOC YouTube channel. I’ve followed the Japanese Green Tea Company on Instagram. I’ve followed the JOC on Instagram. I’ve liked JOC on Facebook. subscribed! I love this website, the posts and recipes! Just subscribed to the newsletter too! I am just subcribed to Japanese Green Tea company newsletter. Glad to know about this, I always love Japanese tea but it is hard to find good tea in the town I am living. Yes, you are right that unfortunately many of local tea shops are closing which makes it hard to find quality tea locally these days in many cities. I have been subcribed to your Facebook page. Your posts are on my newsfeed every day. I have subscribed to the Japanese Green Tea Company newsletter. I love tea! I have been subscribed to your newsletter for ages and I love it! already subscribed to your newsletters! I signed u for the tea company! I drink tea every day so I’m happy you introduced me to this. Hi Amanda, Thank you very much. Hope you enjoy our tea. Please let us know if you have any questions! I subscribed to your website. I use your recipes constantly for lunch boxes and dinner for my parents. I followed the Japanese Green Tea Company on Instagram. Love green tea, it’s always an experience. I followed your account on Instagram as well. I followed your facebook and liked your post about green tea pudding! Love your blog! It’s my go-to for finding recipes I know will turn out resembling the food my mom made during my childhood. Subscribed to the Japanese Green Tea Company! Joining the giveaway — it ends on my birthday! Subscribed to the Japanese Green Tea Company newsletter! Excited for whatever they send my way! subscribed to your Youtube already! I also liked your FB! Your recipes look absolutely delicious! Subscribed to your email newsletter. So glad I found your website! Also subscribed to the Japanese Green Tea Company newsletter. Following Japanese Green Tea on Instagram. I have already subscribed to your newsletter and YouTube channel! I am already following you on Instagram and have liked your Facebook page! I subscribed to Japanese Green Tea newsletters and liked them on Facebook. 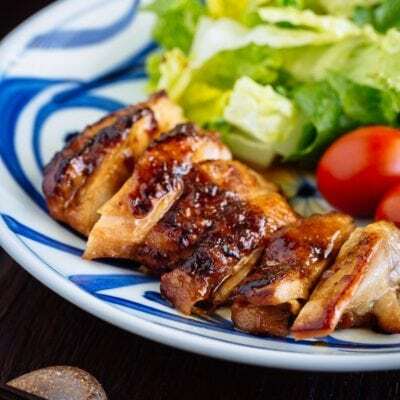 I have been subscribed to your blog as well as enjoy cooking using your recipes very often. Today on menu is Beef Udon that my kids devour each time. I’m interested in trying more recipes with octopus, squid, clams etc. Love clarity and how delicious your recipes are. I’d love to try this green tea! My favorite one so far is genmai-cha! Thank you Kristina! Genmaicha is so easy to drink and our favorite too! Subscribed to Japanese Green Tea Company newsletter! Following Japanese Green Tea Company newsletter on Instagram! I subscribed to green tea club! 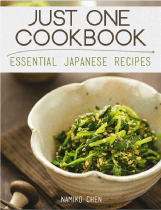 I subscribed to the Just One Cookbook newsletter! I loved your videos! Followed Japanese Green Tea Company on Instagram! 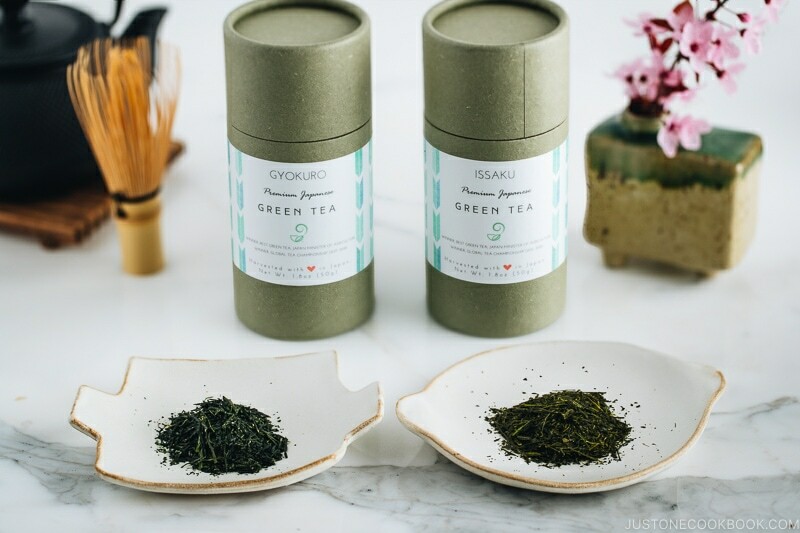 Just signed up for the Japanese Green Tea Co and your newsletter!! I am so glad I found your website! Yes, I am excited. Plus following you on Instagram. I cannot wait to learn from your cooking mastery. I subscribed to the tea newsletter! Thanks for the giveaway. Already subscribed to your newsletter. Thank you! Followed Japanese Green Tea on Insta + signed up for their email. Looks + sounds lovely!! I have been subscribed to all yours for a long while + am a huge fan!! I followed Japanese Green Tea Company Instagram! I’m subscribed to your email newsletter! I’m a follower of your Instagram! I’ve been a follower for a long time! You are amazing!!! Followed the Japanese Green Tea company on Instagram. Looks so delicious! This is perfect timing since I’m about out of all the tea I brought back from Japan. Please let us know if you have any questions Katie. We are glad you are interested in our Japanese tea. I already follow you on Instagram, it’s all 美味しそう! Just subscribed to Japanese Green Tea! I already subscribe to Just One Cookbook by email. It’s always the first email I read when one comes in! 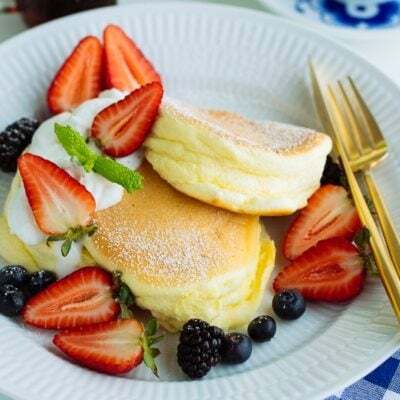 I am following Japanese Green Tree Co on Facebook and Insta. Can’t wait to see them grow! Long time follower of JOC on Facebook. I already subscribe to your newsletter and also subscribe to Japanese green tea newsletter. I liked both Facebook pages. DONE (Facebook) – Ticket 3 (Optional): Follow Japanese Green Tea Company Instagram or Like them on Facebook. Wow, even better that when I signed up for the green tea club newsletter, I received an ebook! Thanks again. Thank you very much Courtney. Hope you like the ebook! I love your blog, website and recipes! Oh, and I did Ticket 1 & 3. I already subscribe to the rest! I have followed on Instagram. Pleaseeeee let me win i lovve green tea! Signed up for the Japanese Green Tea newsletter! 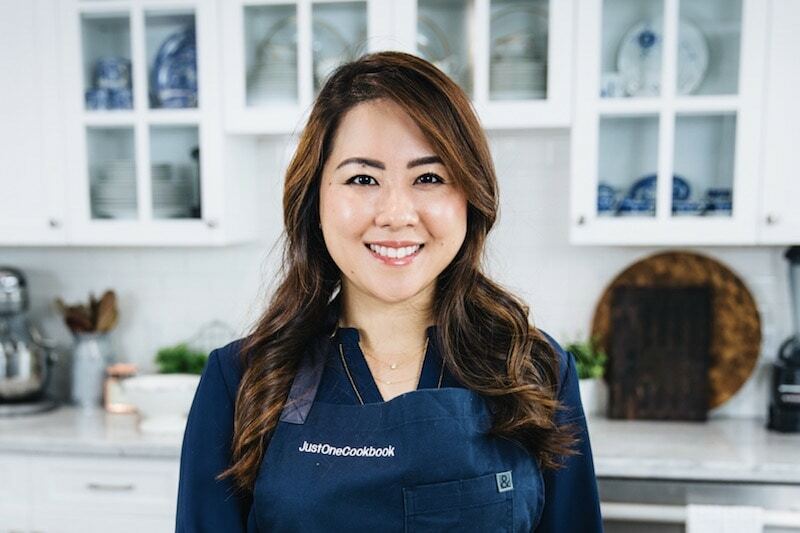 Subscribed to the Just One Cookbook newsletter! I subscribed to Japanese Green tea company mail list too! Sweet, just followed the Japanese Green Tea Company on IG! Subscribed to the Japanese Green Tea Company newsletter as well!! Looking forward to news!! Subscribed to your YouTube channel ! Your videos are really helpful! Liked your facebook page 😊! Hello! I am an avid tea drinker and especially love drinking sencha and matcha. I am excited to enter your giveaway! I have done all of the following to obtain tickets! 1) Subscribed to Japanese Green Tea Company newsletter- I didn’t know about this company and am looking forward to exploring some new quality teas. Thank you for the discount! 5) I am subscribed to your YouTube channel. Thank you for making Japanese cooking accessible to all of us with these clear instructions. 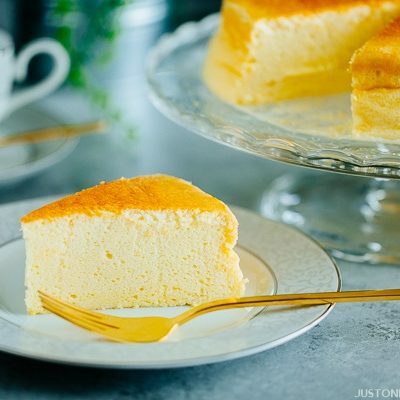 My mother just successfully made your Japanese cheesecake recipe! 6) I am following you on Facebook and just re-liked it! Ps- if you haven’t already noticed, I am motivated by tea! Crossing my fingers! Thank you very much for following us! Hope we can give you lots of great contents for tea lover like you. Please let us know if you have any questions. Hi Nami! Love your recipes and would love to win some green tea!